Pope Francis received Turkey’s President Recep Tayyip Erdogan for a meeting Monday that highlighted their shared objection to U.S. recognition of Jerusalem as Israel’s capital. 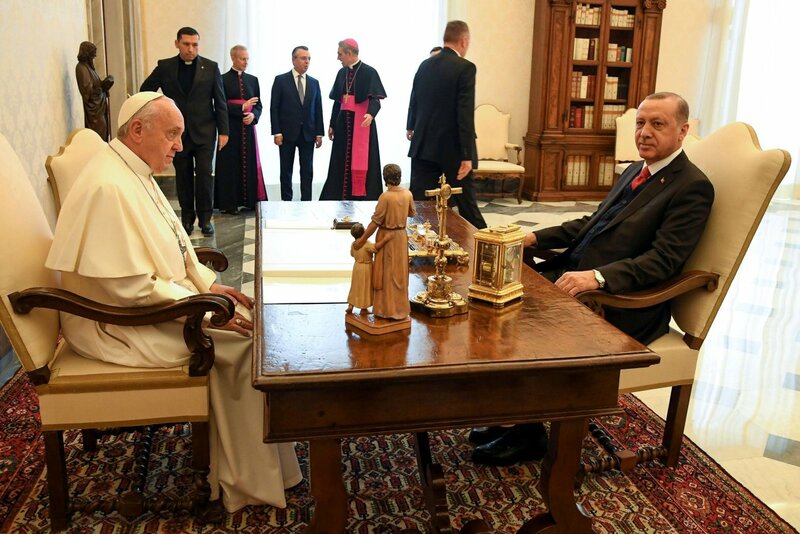 It was the first visit by a Turkish president to the Vatican since 1959. As protesters demonstrated near the Vatican against Turkish military strikes in Syria, the leaders met for an unusually long 50 minutes, compared with the typical half hour for papal encounters with heads of state. The Vatican afterward issued a short statement emphasizing points of agreement, particularly on Jerusalem, which Mr. Erdogan had said would be his “top priority” in his meeting with the pope.